Ben took me to Pollen Street Social. The latest solo project by Jason Atherton, ex-executive chef at Gordon Ramsay's Maze. I liked its minimal yet warm interiors designs and architecture. They had very good wine list as well. and more than anything, I like its street name "Pollen". Heirloom tomato salad, tomato vanilla gazpacho, tomato sorbet, creamed burrata. My favorite dish of the day. It has everything I love. Escabeche of quail, chicken liver cream, nuts & seeds. Pressed tête de porc, rabbit & foie gras, piccalilli, mustard gel. Roasted Cornish hake, razor clam & cockle emulsion, English potato & seaweed. This little key was place on our table when we seated. it was the key for the little sweet treat for us. I simply enjoy getting older. Thank you for participating and supporting us. 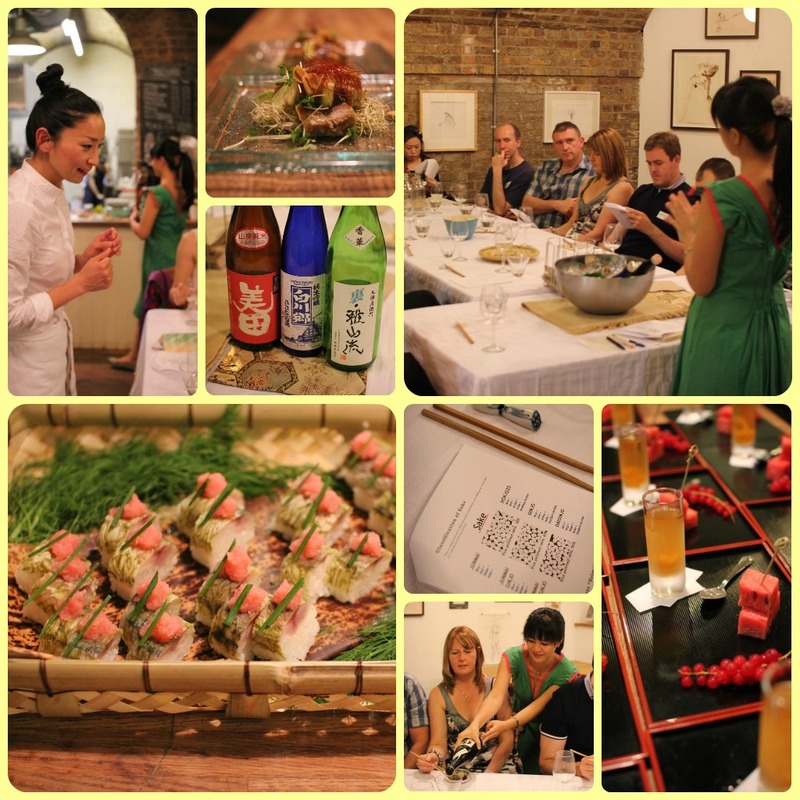 Sake Tasting with Japas (=Japanese Tapas) event on 29th, July went quite well! To Mayfield Lavender in nouth Surrey, one hour away from London. with my good friend Mari. My first time swimming in the ocean of lavenders! my body soaked the scents of sun and lavenders. Sunny day in July is the best time to visit. a Portugeese chef behind The Loft Project and Michelin-starred Viajante. No email, no phone, no reservation, only walk-ins. "Mackerel with water melon, pistachio and gooseberry granita"
"Pork & Portuguese bread pudding"
the best combinations of pork and bread pudding. and still, each dishe only cost around £10. how wonderful. i have to visit them regularly. Today London was exceptionally sunny. the first summer weather i had this year. walked along the canal and talked a lot. i got suntan. finally, the summer had bloomed in London. and bassist at a band named NO CARS in London. to Surrey Dock City Farm, only a few minutes away from my house. I can smell a hint of Summer in cold & cloudy London. Watching goats running after food made us hungry. there's super neat and small cafe inside; cafe Frizzante. their cherry & strawberry cheesecake was yum. she seems to be an exclusive model for the select shop called sister in Tokyo. finding Eriko made me to dye 2 bunches of my hair to pastel pink.